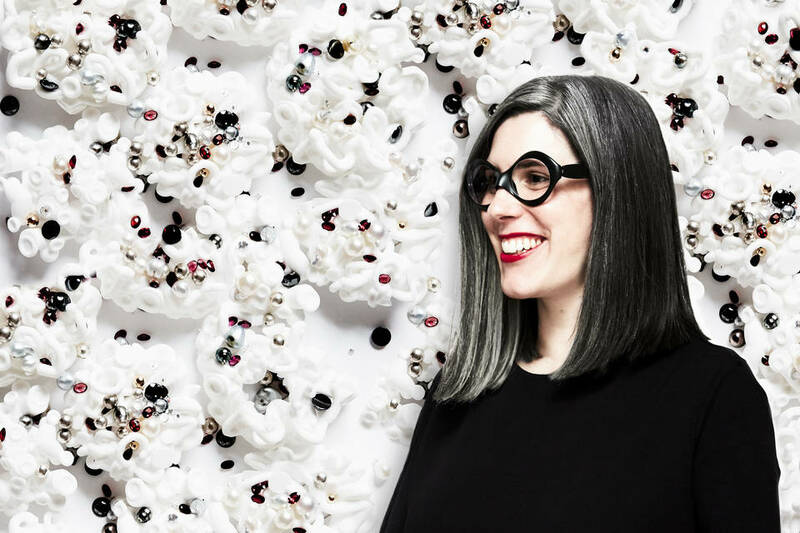 Melding digital design, 3D printing, and traditional silversmithing techniques, Silvia Weidenbach creates exuberant jewelry that demands attention. Weidenbach is the first Victoria & Albert Gilbert Collection artist in residence, and the display Visual Feast, alongside a commission, is the culmination of her residency. Housed in a suite of galleries in the Victoria and Albert Museum in London, the Rosalinde and Arthur Gilbert Collection includes masterpieces from four areas of European and British decorative arts: silver and gold, enamel portrait miniatures, micromosaics and gold boxes. The collection was formed by two Londoners, Rosalinde and Arthur Gilbert, who moved to Los Angeles in 1949. It was there that they also moved from designing bespoke ball gowns, to property development, and started collecting decorative arts. Their motto was "not for us, but for everyone". In this spirit, since the collection arrived at the V&A in 2008, the curatorial brief has been to show the collection in new ways in the Museum and online, ensuring it remains relevant and exciting for the broadest possible audience. It was with this is mind that internationally renowned jeweller Silvia Weidenbach was appointed as the first artist in residence for the Gilbert Collection (April 2017 – April 2018). Weidenbach sees the Gilbert Collection as a feast for the eyes. The intricacy and opulence of the historic objects exhibited in the galleries feeds her creativity. Her innovative work combines traditional goldsmithing and silversmithing techniques with digital technologies. Her jewellery is sculpted digitally, 3D printed and then hand-finished and set with precious materials. Using these processes Weidenbach created the Visual Feast box, commissioned in response to the Gilbert Collection. In its materiality, this 21st-century gold box embodies the push and pull between the historic and the contemporary that defines the Gilbert Collection. The collection's 18th-century porcelain boxes, for example, are objects that were at the cutting edge of European technology when they were made. Porcelain, or 'white gold', had remained an Eastern secret for centuries, the subject of industrial espionage, as competing Western countries sought to discover its composition. Weidenbach's works, made of her secret material 'Moon Dust', embody narratives of wondrous making and the wow-factor of miraculously crafted objects. The Revisit: Doesn't Everyone have a Bird in Their Earring?